The Sandhurst Trust facilitate receptions for weddings, christening and memorials held at the Royal Military Academy Sandhurst. 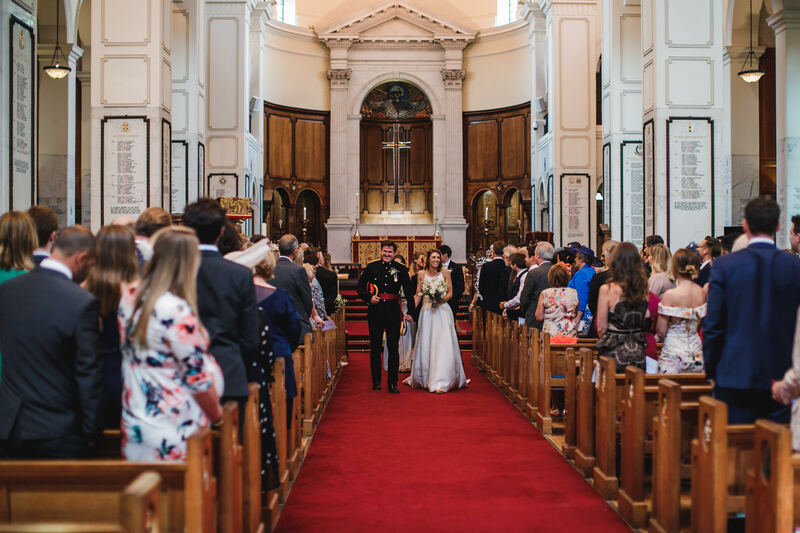 To book your wedding in the Royal Memorial Chapel please telephone the Chaplain’s Office on 01276 412200, the Royal Memorial Chapel have their own website. Please note that weddings in the Royal Memorial Chapel are not normally possible during the summer recess. Civil Ceremonies The Royal Military Academy Sandhurst does not hold a license for Civil Ceremonies. The Lakeside may be booked for a reception from May through to the end of September and requires the addition of a marquee. Most weddings use Sandhurst Marquees, however, you are at liberty to use any marquee company but they must follow our regulations and procedures. Old College Dining Room is also available as a reception venue for a limited number of weekends each year when cadets are away from the academy. To request to hold your wedding at Sandhurst please email weddings@sandhurstrust.org. The Royal Military Academy Sandhurst does not hold a license for Civil Ceremonies. To book a christening/memorial in the Royal Memorial Chapel, please telephone the Chaplain’s Office on 01276 412200, the Royal Memorial Chapel have their own website. To request to hold your christening or memorial reception at Sandhurst please make an enquiry via our contact form. All event catering must be supplied by our resident contract caterers, Aramark. For prices and menus please email the Aramark Functions Manager Graham White. "Thank you again for ensuring we all had a really good evening in such pleasant surroundings"